Austria's new coalition is being sworn-in today, which will make it the only western European state with a far-right presence in government. At 31 years-old Sebastian Kurz will also become Europe's youngest leader. At the weekend Kurz and his conservatives ( The Peaople's Party OVP) struck a controversial deal to share power almost equally with the far-right Freedom party lead by Heinz-Christian Strache. The FPO will not only take the Vice Chancellorship but will also also control foreign, interior and defence ministries. As part of the horse trading to form a government the FPO which ant-immigration is insisting on a reduction in the numbers entering the country and a cut in benefits to refugees. 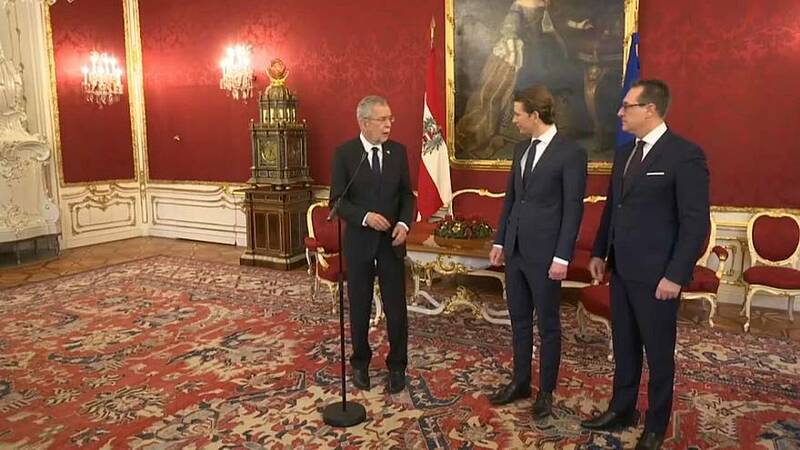 It has however had to give up on wanting a referendum on Austria's membership of the EU and Austria's president said he's been reassures the new coaltion will remain pro-European.